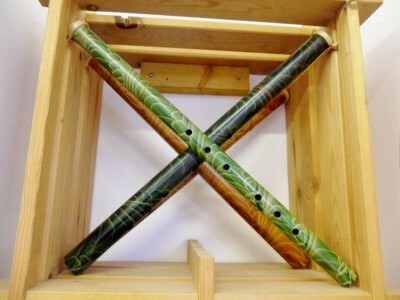 Delicately decorated Indonesian Flute. Called a flute,plays like a recorder,lovely breathy tone. Called a flute,plays like a recorder,lovely breathy tone.